Sealy South Africa produced its first mattress at its factory in Johannesburg in 1967. The company quickly built a reputation for quality, comfort and superior technical innovations and it soon became South Africa’s No.1 choice. 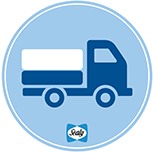 Sealy mattresses and foundations are produced in Johannesburg, Cape Town. Kwa Zulu Natal, Namibia, Zimbabwe and Tanzania facilities. Specifications set down by Sealy USA are followed, including health and technological advancements made by Sealy’s consulting Orthopaedic surgeons and researchers. Our product range is sold only at selected dealers throughout Southern Africa. All our products are manufactured to the ISO.9001/2 quality system. Sealy is a leading supplier to the hospitality industry. We have a very simple mission: to help the world sleep better. And it’s so much more than just a hollow philosophy or something we hang on the walls. This mission literally drives everything we do. It’s for this reason that we spend more on research and development than any other mattress brand in the world. The process of designing better mattresses starts from the inside out. With people like you who have a very simple need: to get a better night’s sleep. We conduct extensive research, including interviews in people’s homes to get at the heart of what will help them sleep better. Though most people don’t spend their days thinking about mattresses, almost everyone has a suggestion or two. And the best suggestions can often be found within our beds. When it comes to Sealy Posturepedic mattresses, Sealy Inc. USA have gone a step further by forming the Orthopedic Advisory Board (OAB) – a group of the finest doctors, clinicians and orthopedic surgeons who play a critical role in the design process. The doctors apply the extensive expertise they’ve gained while helping their patients sleep better to the design of Sealy Posturepedic mattresses to help the rest of the world sleep better. The OAB and Sealy Inc. USA have also worked hand in hand to create the Pressure Mapping Center of Excellence, a first-of-its-kind facility where all Sealy Posturepedic mattresses are scientifically tested to ensure that they provide maximum comfort by eliminating the uncomfortable pressure points that cause tossing and turning. 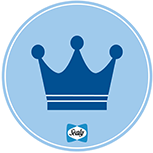 Sealy Posturepedic is the only mattress brand in the industry that has strict pressure-relieving standards for every one of its mattresses. Our commitment to helping you sleep better, extends to our mattresses and foundations hand-made with extraordinary attention to detail using the finest quality raw materials. Be quality-minded at all price levels. Our budget priced mattress have quality features and materials to ensure durability. They are also rigorously quality tested ensuring the brand delivers. Be everywhere where consumers sleep. Our family of mattress brands can be found in homes like yours, hotels and luxury resorts worldwide, and even the White House, USA. 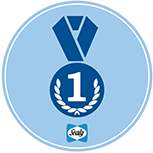 But most of all, we’re proud that consumers have recognized our commitment to helping the world sleep better by making Sealy and its brands the most popular in the world.